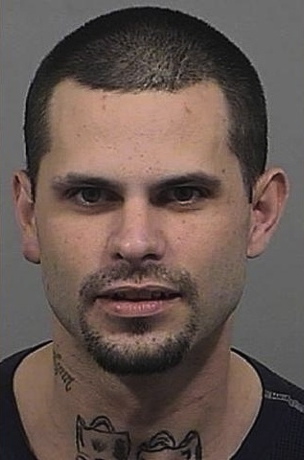 PORTLAND, Maine — Police said a home invasion suspect who’d been hiding in the woods for several days had two conditions for giving up: chocolate milk, and Mountain Dew. Police said 30-year-old Michael Crockett Jr. of Buxton was thirsty and hungry — and covered with mosquito bites and ticks — when he surrendered Sunday night. York County Chief Deputy William L. King Jr. told the Portland Press Herald that he purchased Mountain Dew and chocolate milk under terms of the surrender after the man emerged from woods with his hands held high. Crockett’s lawyer, Amy Fairfield, also ordered a pizza. Police said Crockett is one of three people suspected of breaking into a Buxton home and assaulting and tying up the 60-year-old woman occupant last month. Two others were already arrested. Crockett appeared in court on Monday. NOTE: Thanks and a tip of the hat to Elizabeth Corey!